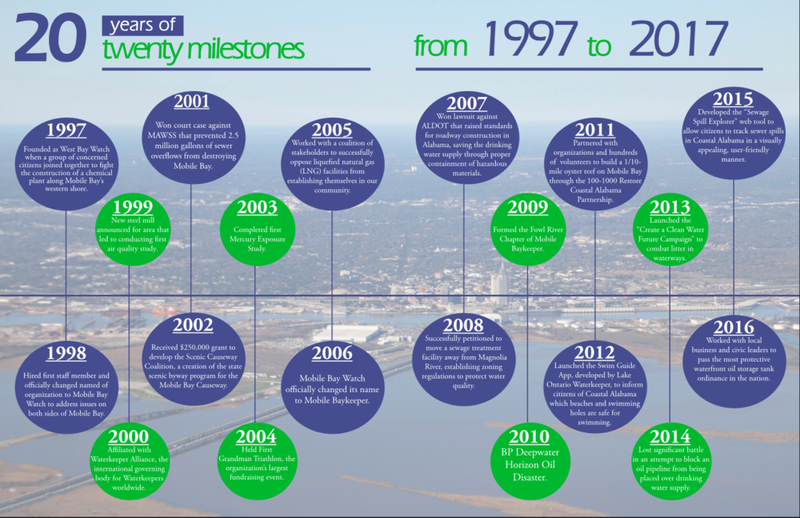 Above: A timeline of 20 milestones in Mobile Baykeeper's history over the last 20 years. Click to enlarge. Mobile Baykeeper formed in 1997 as West Bay Watch when a group of concerned citizens joined forces to fight the construction of a chemical facility at the Theodore Industrial Park, along Mobile Bay's western shore. As the group investigated the environmental implications of these plants, it was discovered that for decades Mobile County's economic leaders had focused their efforts on industrial recruiting. As a result, the pollution amounts led the Environmental Defense Fund to rank Mobile County second in the nation for the presence of chemicals known to be cancer hazards in the Toxics Release Inventory. The volunteers expanded their mission, and in 1998 changed the organization’s name to Mobile Bay Watch, Inc. (MBW), to express the reality that air and water quality issues affect the east and west sides of the Bay. The volunteers hired a full-time director to serve the growing organization, and applied for and received its 501(c)(3) nonprofit status. In September of 1999, Mobile Bay Watch, Inc. became affiliated with the international organization, Waterkeeper Alliance. The Alliance’s mission of championing clean water and protecting the watershed’s communities, ecosystems, and water quality fit well with MBW’s mission of providing citizens the means to protect the beauty, health and heritage of the Mobile Bay watershed. In December of 2005, the board of directors voted to change the organization's name to Mobile Baykeeper to better reflect our focus on preserving and protecting the Mobile Bay Watershed, and our executive director assumed the role of Mobile Baykeeper. 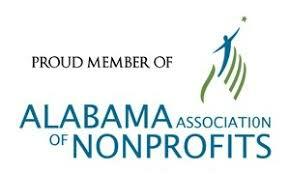 Today Mobile Baykeeper boasts over 4,000 members throughout Mobile and Baldwin Counties. 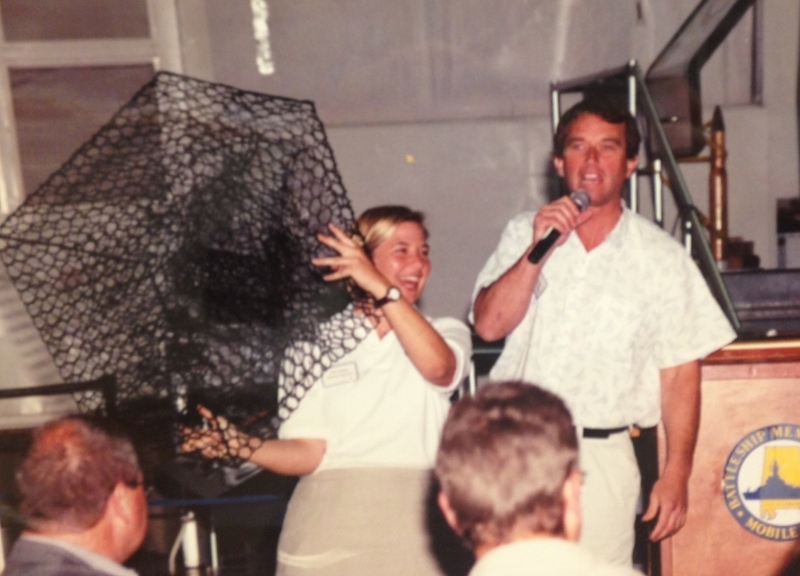 In honor of our 20th anniversary, Executive Director Casi (kc) Callaway reunites with founding members Jean Downing and Logan Gewin to recount the early days of the small grassroots organization then known as West Bay Watch in 1997. Twenty years ago, a group of concerned citizens joined together to fight the construction of a chemical plant along Mobile Bay's western shore. These are founding members, and this is their story.